Lindsay Hirt’s live presentation of Whales in Your Backyard: How Learning about the Great Whales Help Us Protect Them and Our Oceans is now available on video. How do technologies like the SnotBot, WhaleSpotter and listening buoys help us protect whales? 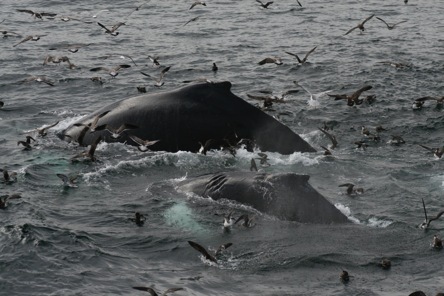 Find out from marine scientist Lindsay Hirt of Plymouth, MA, who explains why the whales in Massachusetts Bay are endangered, how groundbreaking technologies shed light on the secret lives of whales, and where that information can be applied in developing tools to conserve these giants of the sea. This is the first presentation in the series, Making Waves in Coastal Conservation, Season II, which is sponsored by Goldenrod Foundation.